Krishna Tulsi (also known as Shyama Tulsi or Purple Leaf Tulsi) - A purple plant with a clove-like aroma and peppery flavor. Tulsi, also known as Holy Basil, the Queen of Herbs, the Incomparable One and The Mother Medicine of Nature, is as powerful a medicine as it is spiritual and holy. It is one of India's most sacred herbs, an aromatic shrub recognized for its spiritually uplifting and healing properties. In Ayurveda, Tulsi has been cherished for its unique medicinal properties. Today modern science has confirmed many of these properties, recognizing Tulsi as one of nature’s most powerful medicines. 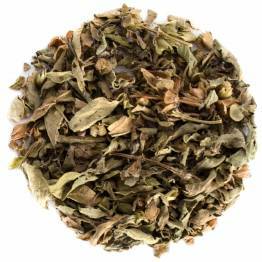 There are three types of Tulsi sold by Shanti Tea: Krishna, Rama, and Vana. All varieties belong to the mint family and are cousins of sweet basil. They differ slightly in aroma and flavour profile but their medicinal properties are very similar. Krishna (Ocimum tenuiflorum) is known for its peppery crisp taste. Rama (Ocimum tenuiflorum) is known for its cooling and mellow flavor. Vana (Ocimum sp. ), aka. "forest type", is known for its beautifully rich fragrance. Of the three types of tulsi, Krishna Tulsi is often considered to be the most beneficial to health, followed closely by Rama Tulsi. 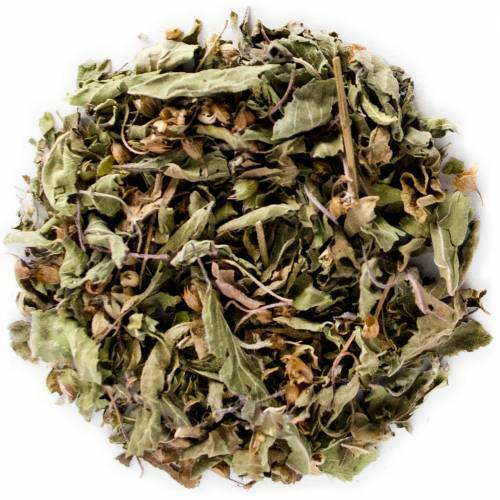 Vana Tulsi has less potency, but it is sometimes blended with other types of tulsi for a more pleasing flavor. Have you tried Tulsi ( Krishna )? Tell us what you think!